In the Far East there is a concept concerning human energy or life force which they call Ki. In China it is called Chi, as in Tai Chi. 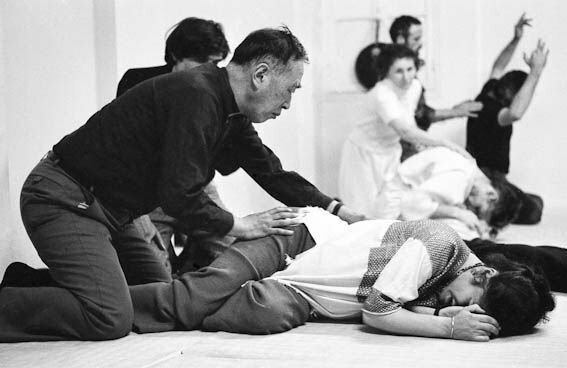 Haruchika Noguchi was the founder of Sei Tai a Japanese method of healing movement. He describes Ki as the force behind the form of the body and its processes, he was the founder of Sei Tai. He says it is the Ki that directs cellular processes, and causes them to grow in the correct shape and size to form our human body. The movement of our heart, for instance, is not the same, Noguchi says, as a piece of chalk being moved around. Our movements come from within, directed by Ki. In its expression, Ki is felt as our motivations. From these motivations we move an arm or leg. But more important still, without motivations, as occurs with some people who retire and lose their motivations, their being loses its health. 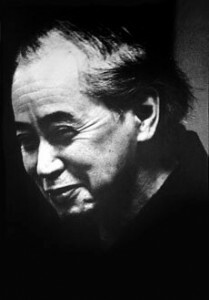 Therefore, Noguchi says that instead of treating the shell, the body, one ought in such cases to treat the Ki and to restore the quality of its positive motivations. I started showing a woman in her sixties how to let her body heal itself through movement. Maria was married, had a lovely country cottage, but had not been outdoors for months. She was suffering from aches and pains in her arms, felt life had lost its interest, and asked for help. Maria quickly learned to relax enough to allow her body freedom to express without inhibiting self criticism. Her movements were slow and tentative at first but soon included her whole body, producing feelings of pleasure. To allow such movements Maria had to learn how to give her body and feelings time in which to explore unplanned movement – movement arising from her own subtle body impulses. Such subtle urges are often overlooked, or are crowded out by ones thoughts of what one ought to be doing, or what is appropriate in the circumstances. So Maria created a mood, and gave herself time, in which she could allow irrational movement – movement that had not been thought-out beforehand, or given by someone else. Such movements are usually quite different to the sort of things one finds recommended in exercise books. The reason being that they are often unique mixtures of exercise, dance, mime, and generally letting oneself go enough to do what might have otherwise be seen as ridiculous. Nevertheless, such irrational expression is very satisfying. In Maria’s case she started with slow arm movements. Gradually the rest of her body was included in an expression of pleasure and sensual enjoyment in which she rolled and squirmed on the floor – movements and feelings that surprised Maria. Yuki is practised with two people. There can of course be many couples using yuki at the same time. One person is the receiver and one the giver. The Japanese who taught me did not limit themselves with ideas of the healthy healing the sick. They used yuki because it was fun to do. But it can be used to help someone who is below par. Also the person need not be near to be able to send healing to them. Imagine you are reaching out and touching the person. The experience of yuki is one of the most delightful facets of Sei Tai. Not only does it develop sensitivity in a relationship, but it also enables two people to discover a world of non verbal communication and meeting. It develops the sensitivity of responsiveness necessary in intimate relationships. Finding that the Japanese had developed this gentle way of strangers meeting and touching showed me an unsuspected side to their culture. Teaching it in the West people have sincerely thanked me for showing them how to discover their own beauty and flow in meeting another person. In Subud the movements (latihan) are sometimes allowed in the presence of a sick person. Unlike yuki, there is no attempt to touch the sick person. It is important to remember however that the different approaches demonstrate the significant fact that the process can work well in various settings and ways. The physical distance of thousands of miles in reality makes no difference. The biggest barrier is not distance or even degree of illness, it is the beliefs, convictions and limitations we live within. What follows is not the method used by Sei Tai, but something I developed. In Sei Tai no vocal sounds are ever used. I found great release by allowing spontaneous sound emerge from me. It adds an emotional dimension to an otherwise silent practice. One of the easiest ways to begin inner-directed movement is to use your body’s own urge to express spontaneous movement, as with yawning. Practice this one a few times on different days before attempting the next ones.